Trees are the one of the very useful and beautiful living things on the Earth. They provide us fresh oxygen and many necessary things, like wood, pulp for producing the paper, fruits, shade in the sunny days, and provide the home to a lot of animals including land animals, insects, and birds. 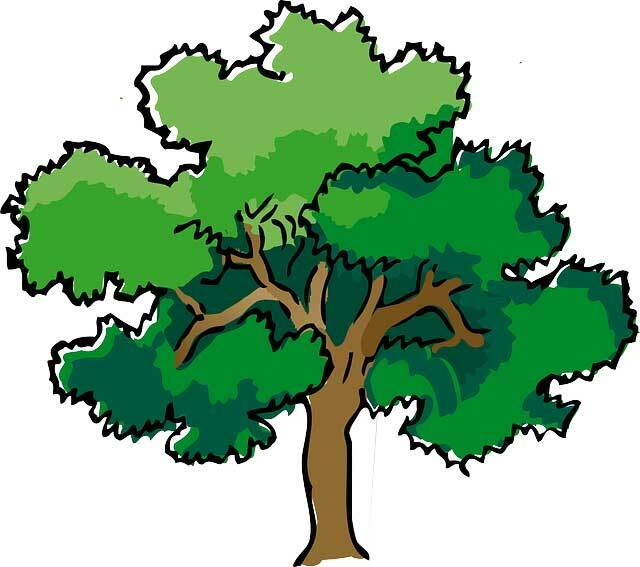 Trees are the plants, which looks bigger with lots of branches and leaves. There is no any proper scientific definition about the tree. But, authors define the trees by their own way. Generally, a plant is considered a tree if its height reaches more than 13 feet, has woody a stem, and lives for many years. There are the two main types of trees; one is evergreen and other is deciduous. Both of them are slightly different. Evergreens plants, as the name suggests remain the green in all the seasons. Their leaves don’t completely fall during the autumn. They grow new leaves, which replace the older ones. 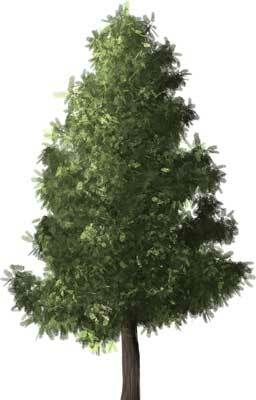 Examples of the evergreen trees are conifers, which include redwoods, pines, cypresses. Deciduous trees are known to lose all of the leaves during autumn and remain bare throughout the winter. They grow new leaves each year, unlike the evergreen trees which don’t lose all of their leaves at once. The color of deciduous trees also changes in the autumn. The examples of deciduous trees are beeches, maples, and oaks. 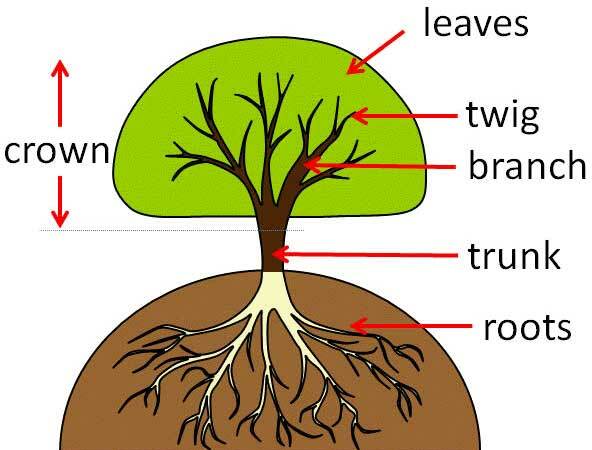 Roots: Roots are part of the trees which remain in the soil. They absorb the water and nutrients from the soil for the whole tree. Also, they provide the anchor to the tree. Trunk: Trunk provides support to all parts of a tree and gives the tree its shape. It stores and transports the water, nutrients, and food to all parts of the plants. Crown: Crown is the top of the tree, which contains all the leaves and branches. It has different shapes and sizes for different trees. Branches: Branches distributes the leaves in the air evenly. They grow at different positions so that leaves can get the necessary air and the sunshine. Leaves: They are like the food factories for a tree. They produce food for the tree in the photosynthesis process and gives the precious oxygen to animals and humans. Leaves contain a substance called chlorophyll, which gives them a green color and used in the photosynthesis. Trees are giving us food, wood, and many other necessary materials. They provide us fresh oxygen and helps to reduce the pollution. But, we as a human are destroying the trees for land and wood. The number of trees across the world is decreasing sharply. A lot of forests have been destroyed for the land and agriculture. As a result, many animals have become endangered species and air pollution has raised. We must understand the fact that trees are the important part of the ecosystem. They help us in many ways and make our Earth a place to live. We should treat the trees with proper care. If you can, try to plant as many trees as possible around your home. Also, tell others the importance of the trees. Trees use carbon dioxide to produce food. 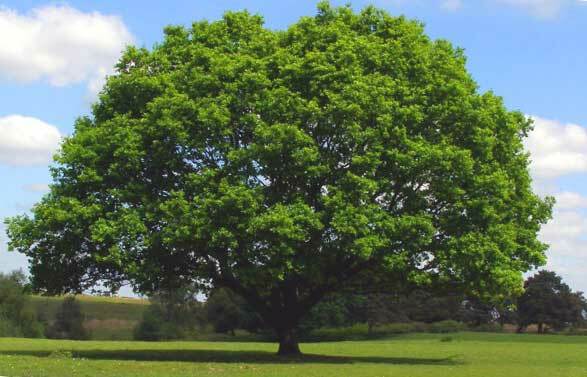 A single tree can consume about 21 kg (48 pounds) of carbon dioxide each year. Trees excrete water from their leaves which evaporates. As a result, the temperature of its surrounding is reduced. Trees works as filters for the rain water. Abdul Wahab, "Trees," in Science4Fun, April 13, 2019, http://science4fun.info/trees/.